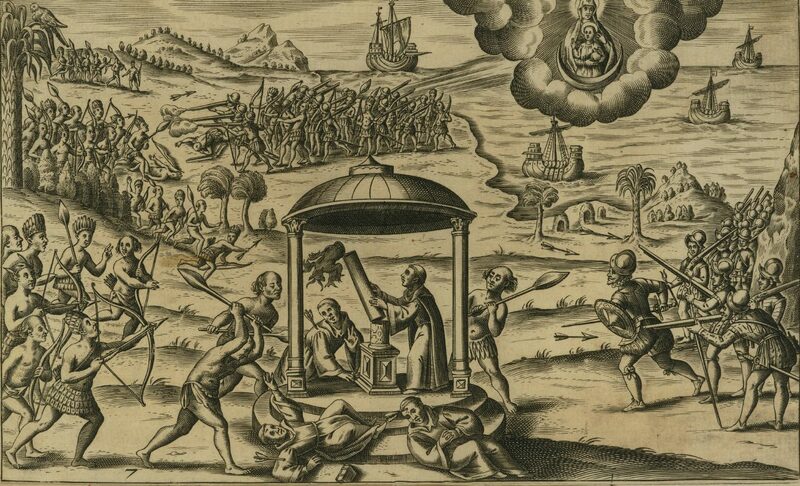 Evangelism was as a major justification for imperial expansion during the early modern period. Yet the actual relationship between missionaries and those they hoped to convert was far more complex than the narrative of conquest suggests. Missionaries were often the most prolific writers on non-European peoples and cultures and as a result, their sources have proven to be indispensable for early modernists. For decades, historians have explored these encounters and the sources they inspired to gain insight into a wide variety of topics including native history, the history of religion, labor history, environmental history, the history of the African diaspora, and the history of capitalism. While missionary sources are used widely, most scholarship on the encounters themselves focuses on either a particular denomination or a particular region. Rarely is the surprisingly cohesive barrier between Protestant and Catholic breached within single volumes or monographs. This fragmented literature has prevented scholars from seeing the similarities across early modern missions and asking bigger questions about the meaning of missionary encounters in the early modern world. In 2017, Karin Vélez (Macalester College) and I edited a special issue of the Journal of Early Modern History to address these issues. Our journal issue brought together research on Jesuits and Pietists, Tupí Christians and O’odham rebels, black Christianity and canonization, femmes fortes, and cannibalism. Of the six essays we published, two explored Protestant missions while four examine Catholic endeavors. One investigated the role of Christian missions among enslaved people, one on Protestant efforts to convert Jews, and four focused on native missions and their repercussions. The essays spanned both sides of the Atlantic Ocean as well as the northern and southern hemispheres. Portuguese Brazil, New France, English North America, eastern Germany, and northern Mexico all featured prominently. You can check out the Missionary Encounters in the Early Modern World issue here.